Nowadays, most part of the organizations make use of Key Performance Indicators (a.k.a KPIs) to evaluate their success in different activities relevant with their business. 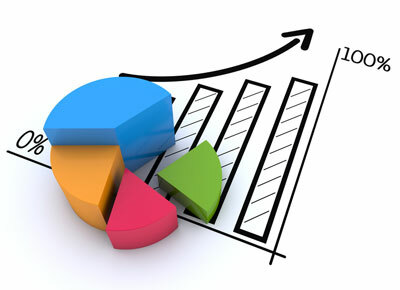 A KPI is a measurable value that demonstrates how effectively a company is achieving its objectives. 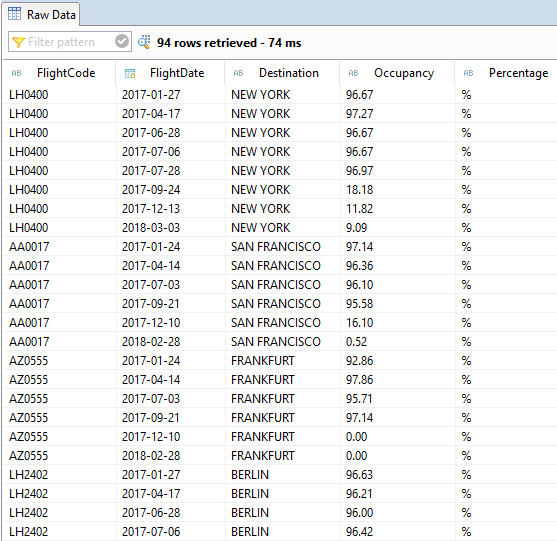 When we relate KPIs with the SAP Fiori experience the first thing that comes to our minds is the use of SAP Smart Business Applications and the KPI Modeller (more information available here), but what most part of the developers don’t know is that this is not the only path available to publish KPIs in an SAP Fiori application. We know already that Fiori Elements can generate UIs at runtime based on metadata annotations and predefined templates, but one of the most interesting functionalities (and not so widespread) is the ability to publish KPIs using the @UI.dataPoint annotation. 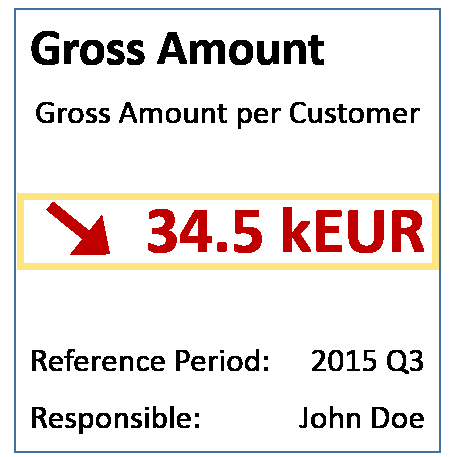 With a measurable field (number, price, quantity or percentage) you can define a threshold and evaluate how the indicator has been performing and display the result in a range of different colors and symbols. This concept is defined as Trend-Criticality Calculation and you can check the official documentation here. The focus of this post is to explain only the Criticality calculation inside an Overview Page application, but since there are different Fiori Elements providing support to the annotation @UI.dataPoint is possible to adapt the same concepts for different kind of developments (e.g. KPI in the header of an Object Page). This post covers not only Fiori and UI5 concepts but also ABAP CDS, if you are not familiar with these concepts I advise you to check my previous posts or to have a look in SAP official documentation. What do I need to know about Criticality? #TARGET: Your key figure must stay inside a specific target in the center of your threshold, deviations in any directions will reflect a bad performance of the indicator. Example of an use case: Headcount. #MINIMIZE: Your key figure must stay in the lowest part of the threshold to indicate a good performance, deviation in the opposite direction will reflect as bad performance. Example of an use case: Work Incidents. #MAXIMIZE: Your key figure must stay in the highest part of the threshold to indicate a good performance, deviation in the opposite direction will reflect as bad performance. Example of an use case: Sales. Now that you are able to identify the available scenarios we can start the development of our demo. 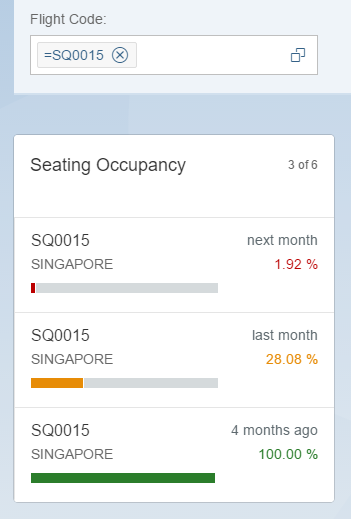 To construct our application we will use data from SFLIGHTS standard view and create a KPI to check the seating occupancy for each one of the scheduled flights in the system. 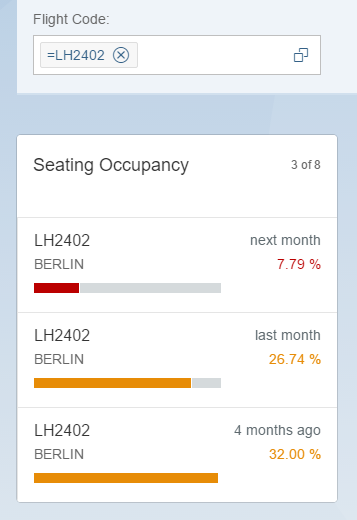 Comparing the number of occupied seats against the maximum seats available in the plane is possible to generate a percentage value and evaluate the position with a criticality calculation. 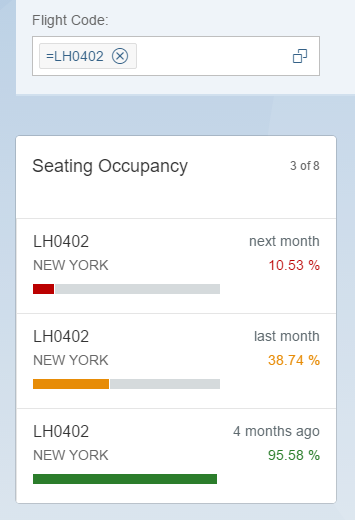 The improvement direction in this case must be #MAXIMIZE because the airline wants to sell all the seats available in the plane, if the indicator is showing entries with red color it basically means they need to focus sales in those particular flights with a low occupancy. 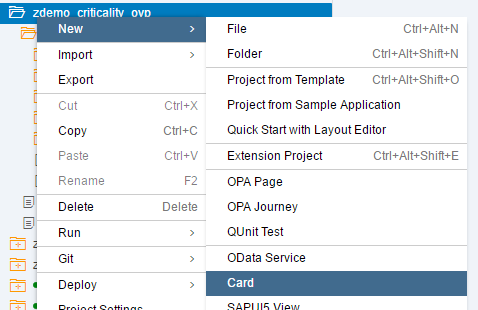 The UI5 application will be based on an Overview Page template with a List card with progress bar. When we combine a data point annotation with this card template the framework populates automatically the colors and completion of the bar. FlightCode: The union of the airline code (CARRID) and the connection number (CONNID). This field should be available inside the list card and in the global filter of the Overview Page. 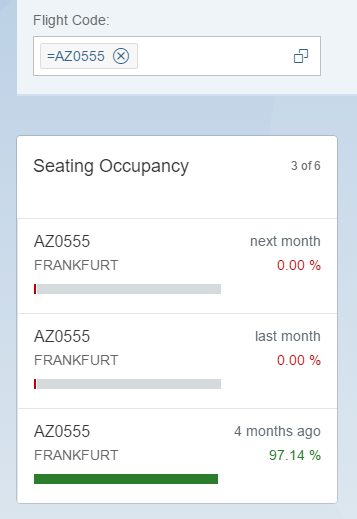 FlightDate: Date of the flight, configured as a secondary data point in the list card. Destination: The arrival city, expected in the result of the card as well. RED from 0 to 25. YELLOW from 26 to 60. GREEN from 61 to 100. Percentage: Just a unit of measure to associate directly with the occupancy field. @OData.publish: Used to publish the OData service automatically without the need to create an OData project through transaction SEGW. @EndUserText.label: This annotation provides a label to the field. @UI.selectionField: This annotation determines the position of the field in the global filter of the Overview Page. @UI.lineItem: This annotation determines the position of the fied inside the cell of our list card. toleranceRangeLowValue to determine the threshold (as described by SAP documentation). Also, there is a configuration for decimal places and the minimum and maximum values expected for the field. @Semantics.unitOfMeasure: These annotations define a relation between a quantity field and its respective unit. Remember always to activate the OData service in the Front-end server (SAP Gateway server) through the transaction /IWFND/MAINT_SERVICE. The process to create an UI5 application through Web IDE is pretty simple and straightforward, just follow the steps below to create an Overview Page with a list card with progress bar. Right click in your Workspace folder and click New -> Project from Template. Template Selection: Create a new project based on a Overview Page. Basic Information: Define the project name as zdemo_criticality_ovp. Data Connection: Select your system and OData project. Annotation Selection: Select the remote annotation provided by the ABAP CDS exposure. 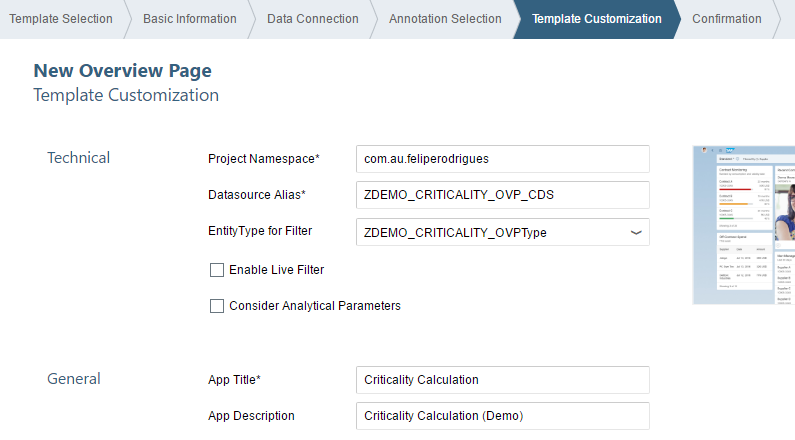 Note #1: All the annotations published in our ABAP CDS view will flow to the UI5 application through this remote source ZDEMO_CRITICALITY_OVP_CDS_VAN. Later on you can see the same annotations inside the XML file inside the localService folder. Template Customization: Define a namespace, data source, entity type, app title and description. The rest of the configuration doesn’t affect this demo. Finish the wizard and conclude the creation of your Overview Page. Now we need to configure a List card inside of our application, right click in the main folder of your project, click New -> Card. 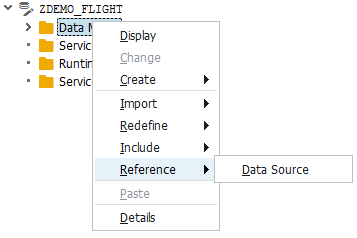 Configure Datasource: Select the existing data source and continue. 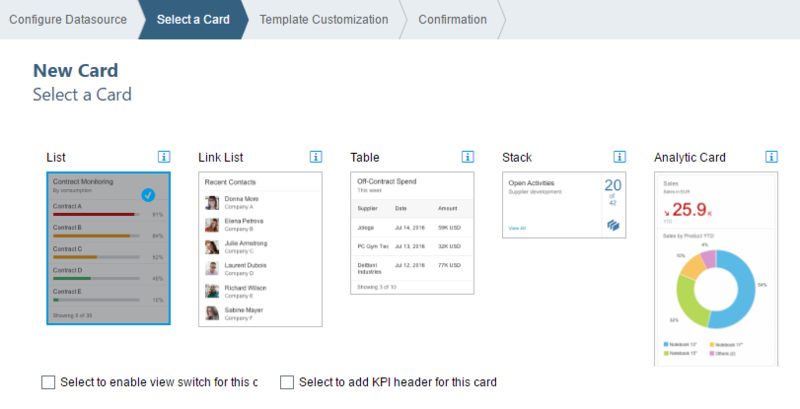 Select a Card: Select a List card template, no need to mark the extra configuration in the bottom. Finish the wizard and conclude the creation of your new card. Note #2: The list flavor must be set as Bar to allow the use of progress bar and provide support to data points with criticality calculation. Note #3: The list type must be set as Extended to provide extra space for all of our fields. Note #4: The sort order was just configured like this to increase our chances to find flights with low occupancy during the tests.